The Buffalo Bills finally exacted revenge on the Jacksonville Jaguars for last year's Wild Card defeat - which included all sorts of fireworks. Ryan Wolfe is joined by GERE Network's John Cimino to talk the Buffalo Bills big win over the Jaguars, what Josh Allen did under center in his return and the big brawl that turned the momentum for the Bills. 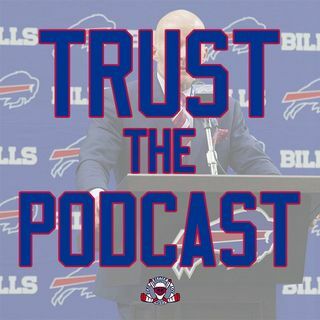 Listen in to the latest episode of "Trust the Podcast" and stay up-to-date with the latest Buffalo Bills takes from Ryan and ... Más informaciones John.